Right then, you have done your research and found the site where you want to play bingo online. You’ve worked out which welcome bonus is best for you, and are itching to get into the play. The only thing is you are a total novice, and the website looks a little complicated. Some of the bingo games don’t seem to be bingo at all. Don’t worry the bingo is bingo, sometimes with a twist, but much the same. Go ahead and register to play online bingo, you will have fun. There are a few things to get straight at first, so here’s a few pointers to help you along. Cards or Tickets – These have your numbers for the game arranged on these. CH or CM – Your chatroom host or moderators, their job is to keep the chatroom friendly and run the side games there. 1 TG or 2 TG – One to go, or 2 TG is used in chatroom lingo, to let other players know how close you are to winning. Progressive Jackpot – A prize pot added to from every game played, either in one room or across the whole site. The prize is won usually when a full house is called within a set number of balls called, normally a relatively small number. These jackpots are hard to win, but can be significant in size. Escalator Jackpot – Another progressive pot that is run over a set time, with the minimum number of calls increased until someone wins before the deadline. What are the Different Types of Bingo Online? Most sites offer a choice of which type of bingo you can play, these are the most common variants. Even the themed games will use one of these formats. This is the traditional format in the UK, played for generations at church bazaars, bingo halls and now online. The card you purchase comes in the form of a grid divided into 27 squares, three rows of 9 columns. Each row contains 5 numbers, and four spaces randomly placed. The columns with up to 3 numbers are set out as follows: the first column has numbers chosen from 1-9, second column 10-19, and so on up to 81- 90. To win there are generally three combinations. 1 line- which is all five numbers on one row. 2 line- which is all 10 numbers on two of the rows. Full House- which is all 15 numbers across the 3 rows. 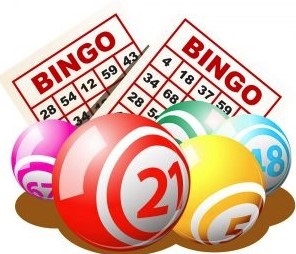 This version of the game originates in the US, and thanks to the fact you can now play bingo online it’s become very popular in the UK as well. A 75-ball card is arranged in a 5×5 grid, 5 rows, 5 columns. The word B-I-N-G-O is spelled out along the top of the columns. The middle square is filled in with a star or some other icon, the rest of the squares are filled with numbers. The B column is filled with numbers chosen from 1-15. The I column with numbers chosen from 16-30. And so on up to the letter O with numbers chosen from 61-75. The combinations to win are more varied with this version. The widely used are, horizontal, vertical, or diagonal lines. Four corners and the full card. This format however, lends itself to some interesting patterns, because the grid is filled with numbers, and some providers run unique winning patterns. There are even seasonal patterns such as the Christmas tree. Remember the bingo arcades at the coast? They had fixed mechanical cards where you slid the cover over the number in the coloured columns. Well this has migrated to the internet. A 4×4 grid with 16 numbers, set in columns of different colours, red, yellow, blue and white. The red column has numbers from 1-20. The yellow 21-40. The blue 41-60. The white 61-80. There are 4 ways to win, 1 horizontal line filled, 2 horizontal lines filled. 3 horizontal lines filled, and all four lines filled known as a full house, with corresponding prizes for each. A common pitfall for novices that play online bingo, is they want to go for the big payouts straight away. This, more often than not, means buying tickets for the premium games at premium prices. If you’re not careful very soon your balance is gone. These top games are hard to win, as they usually have a lot of players. It’s far better to play for smaller stakes, and get into the swing of things by playing a lot more games for your money. You will find the games you like playing and have a lot more fun. Bingo is a game of pure chance, but there are ways to maximize your chances. By scheduling when you play bingo online you can do just that. Most bingo rooms are now open 24-7. Choose a time when there are fewer players, like early in the morning or maybe mid-afternoon. All rooms will tell you how many players have bought tickets so far, the fewer the number of cards playing the greater your chance of winning. Another way to increase your chances is to play more cards in a game. This does of course cost more, and can lessen the excitement for some. All sites now have an auto-dauber future which means you don’t have to fill in manually, so multiple cards is not the juggle it used to be. There is a full card management system on some sites that even put your best card forward, so you can follow the action properly, and even call your win for you. But take care because some sites still require you to call the win, so having 6 cards on the go can still be hard work. The game of bingo is simple but fun. The moment it stops being enjoyable take a break before any real problems begin. Bet responsibly and enjoy. We love freebies! Every week, you’ll have 6 FREE tickets for the Free Sunday £250 in the FREE tab on mobile devices only.Bingo for free, every Sunday! Claim your chance to win a sweet £888, and play bingo for FREE for 3 whole days! Earn awesome loyalty points and trade them for cash and prizes! Enjoy rewards with no max bets and wagering requirements! Unlock even more treats in the Vault and get Fair Spins and Cash as your Boost Bar increases. Enter the Daily Jackpot Feast for a chance to win one of 12 daily jackpots or join the £10,000 Slider Room. Enjoy reload match-ups and more bingo and slot bonuses!